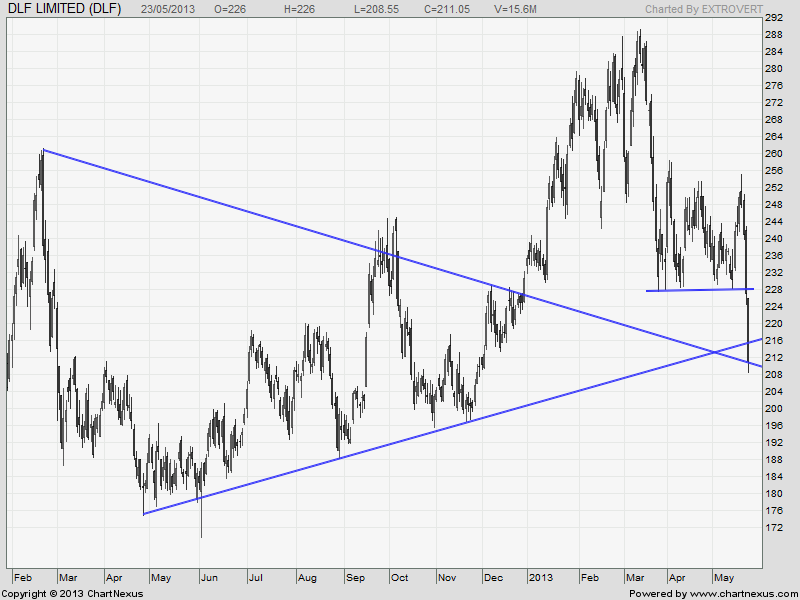 DLF has broken below its trading range of with a bearish engulfing pattern,and is now very near to its trendline crosover zone, break below 210 stock is heading sub 200 levels. 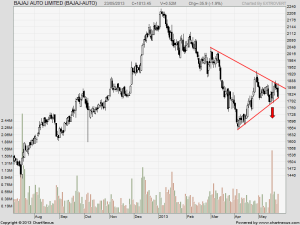 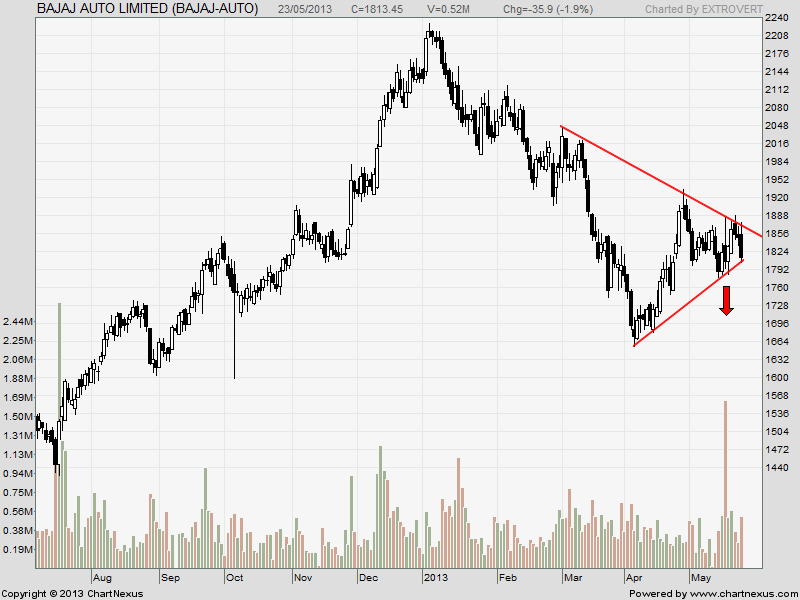 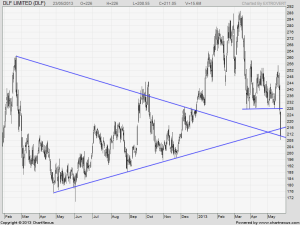 Baja Auto is forming a symmetrical triangle again and big breakout/breakdown is coming soon. 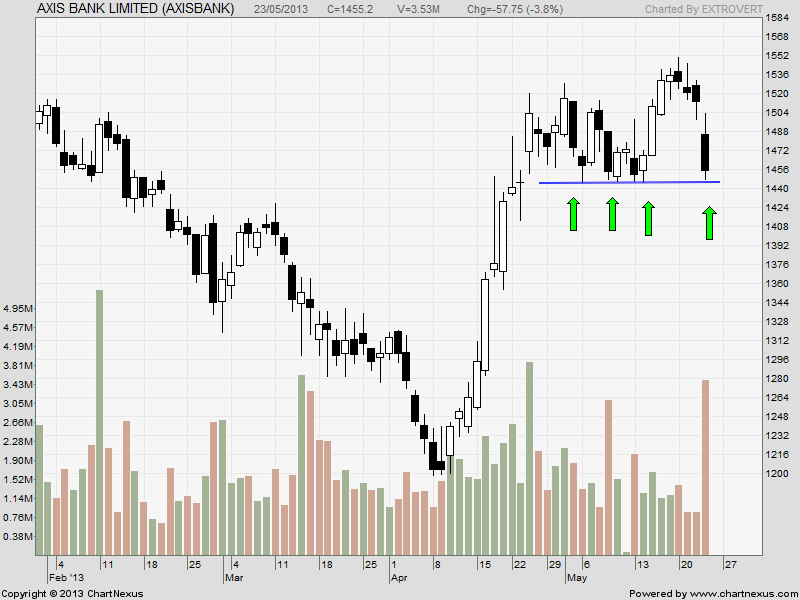 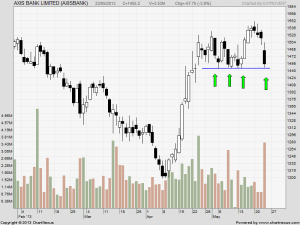 Axis bank is approaching the lower end of trading range.